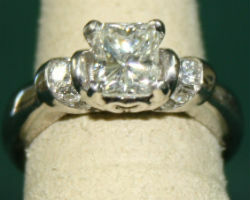 Jack Sutton is an extremely well known name in the New Orleans engagement ring arena. 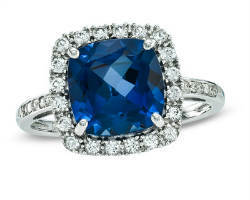 They offer some of the most breathtaking stones that are sure to add some weight to the hand of your future wife. 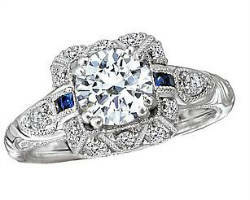 They specialize in wedding bands and rings for men as well meaning all of your jewelry needs will be covered. With a huge bridal selection for women and countless watches, rings, and cuff links for the guys, this store is a luxurious one-stop shop. Gordon’s Jewelers is a classic choice with classic rings. This store has been trusted by thousands of customers and can be trusted by you to deliver the perfect ring to propose with. The store has been supplying jewelry for it’s customers for over 100 years, and not many other stores can claim that kind of timeless success. 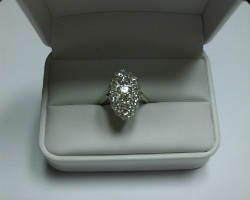 Gordon’s has a huge selection of rings to choose from based on what customers have been proven to like. The specialists at the store can help meet all of your jewelry needs. Whether you have already bought a ring or have an old one that you would like to have appraised to make sure you got what you paid for, Savoie Fine Jewelry Appraisers is there to help. Buying a ring from a licensed dealer is key, but if you would like a second opinion, this appraisal service can offer you experience and professionalism. With over 36 years of operation in the industry, these people know their stones. This location is also one of very few certified local appraisers in Louisiana and the entire country. Mon Coeur is a unique jewelry store like no other. It is owned and operated by Janet Bruno-Small, a jewelry designer who specializes in taking pieces from antique and used jewelry to create new and exciting individual designs. This artist creates things out of the love she has for her craft and this is apparent in every piece. She has customized countless wedding bands and engagement rings for couples in the past and has a unique collection for you to shop from. 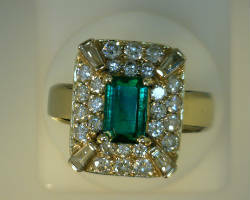 Raymond’s Jewelry Creations has been a family owned business for over 60 years. It has served the young couples looking for wedding rings in New Orleans throughout their history and thus has created a legacy that keeps generations of customers coming back. Raymond’s offers a variety of styles and designers for any happy couple to choose from. By shopping here, you will enjoy a personal experience on your journey to the aisle. Let the specialists guide you through your selection and find the bands that are right for you. There are plenty of places to shop for engagement rings in New Orleans, LA, but there are few places you could have professionals offering a range of services as wide as the ones offered at Sylvia’s Designs and Estate Jewelry. 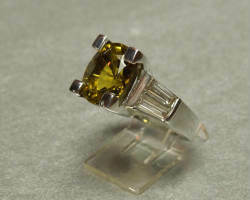 This shop offers nothing but the very best talent in the jewelry design industry. They also can repair any damaged rings, reset or recut a stone that has fallen out of place, engrave your ring with a personal message, and restring pearls. 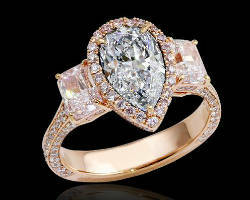 Anton Ltd. is the biggest name in estate and antique jewelry. Older and used jewelry sometimes gets a bad name, but when you see the diamonds this shop offers, you will be shocked by the vast collection of stunning and radiant jewels. Though these are not the cheapest options on the market, they are the most unique. Each piece at this shop has a story to tell and the experts with years of experience are there to tell it before you add your journey of love onto the piece.